Cyber threats are evolving, often quicker than our protection capabilities. Determined, capable cyber criminals don’t concentrate their efforts on the organisations that are best equipped to defend against their attacks. Can you detect the threats to your organisation, and importantly respond to them, without the resources and expertise? We recognise the challenges many of our clients face and we have created our Managed Security Service to help solve them. Metaphor IT’s Managed Security Service provides businesses like yours with expert cyber security defence systems and specialist staff to help mitigate against the threat of internal and external cyber attacks and help meet compliance and legislative standards. In recent years IT has changed the way that we live and work. We expect data, email and the tools we need to do our jobs to be available wherever we are and on any device. Whilst this has been a very positive step to agile working, it presents a challenge to businesses in how they protect their data and systems from cyber attacks. In today’s age of hyper-connectivity, increasing data-protection legislation, and growing incidents of cyber-attacks; security has never been so critical for businesses large or small. Most businesses only have a minority of their technology managed from a security perspective, but we can help change that. What does a Managed Security Service Offer? Metaphor IT has been providing managed security services and support to some of the UK’s largest businesses since 2002. As a trusted partner we work in unison with our clients, monitoring and managing every element of the security solution within their estate. Ultimately our goal is to ensure that our client’s assets are protected whilst keeping the end users experience consistent. Metaphor IT understands that every client has unique requirements when it comes to designing, delivering, managing and maintaining the IT security of their business. We will take the time to understand your needs and priorities, applying our insights and expertise to deliver a bespoke solution. We will keep you informed of industry trends and developments and will work with you to execute your security policies to your best advantage. Our security experts can provide a range of support services from third line support, specialist support of named technologies, onsite support resources or fully outsourced managed security services. 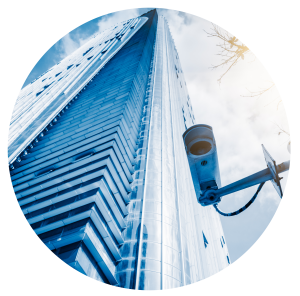 Our Security Operations Centre can monitor your entire estate, providing continuous analysis, trending and identification of potential threats. Or we can work alongside internal IT teams to provide a critical and proactive line of defence against both insider and external threats. Metaphor IT already provide security solutions for several FTSE 100 businesses, but we have found a gap in the market for a cost-effective security solution for SME and Mid-Market businesses. With the General Data Protection Regulation currently in force, many businesses will find themselves unprepared for the changes and could face heavy fines. We are helping to mitigate against the risk of a data breach to protect the business and the data it holds. Metaphor IT understands that growing businesses have to balance risk against the cost of meeting their required standards and protecting their IT standards. Unlike big corporates who can invest heavily in IT security, SME’s are not able to make the same investments and that is why we have launched our Managed Security Service. It allows us to help you protect your business and meet your legal data protection obligations but at an affordable monthly cost. Would you like help with your IT Security Strategy or want more information on how our Managed Security Service can help you? Get in touch with us today.